Which Portable Fire Extinguisher Should I Use? When it comes to using a portable fire extinguisher when handling a small, contained fire, it’s important to know which portable fire extinguisher to use. There are a number of different portable fire extinguisher options, but using the wrong type could lead to a more serious fire. Portable fire extinguishers remove one of the three elements of a fire, fuel, oxygen, and heat, in order to extinguish the flame. Water- This type of extinguisher removes the “heat” element from the burning surface, extinguishing the flame. A water extinguisher is also known as a Class A extinguisher and can be used for fires involving plastics, papers, wood, rubber, and cloth. CO2- This type of extinguisher removes the oxygen element from the fire to extinguish the burning flame. Also known as a Class B, these extinguishers are to be used with flammable liquids such as solvents, gasoline, oil, grease, certain paints, and lacquers. Dry Chemical- Also known as a Class C extinguisher, this type is meant for electrical fires. This includes small fires within computers, fuse boxes, and wiring. Multipurpose- This type of extinguisher can be used on both A, B, and C fires. Class D- There is several different extinguishers within this class to be used on specific types of metals. These extinguishers are normally found in factories that use metals such as sodium, titanium, magnesium, and potassium. Class K- This type of extinguisher is meant for kitchen fires involving oils and grease. 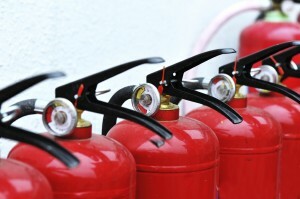 Each portable fire extinguisher should only be used for its specific type of fire. 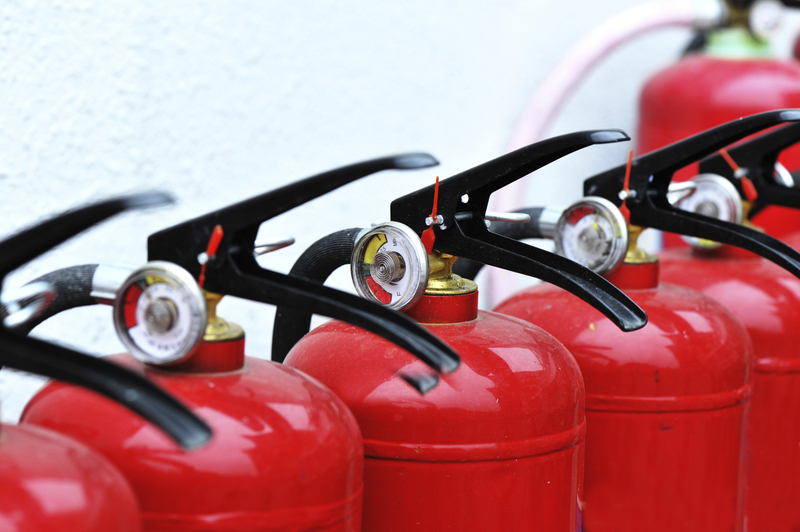 Class A extinguishers could cause a Class B fire to spread or electrocution in a Class C fire. A Class B extinguisher could fail to completely extinguish a Class A fire, causing the flame to re-ignite later. A fire extinguisher should never be used on a fire that is spreading, or if the substance burning is unknown. Fireline is a leader in the portable fire extinguisher industry. We offer several portable fire extinguishers as well as maintenance and other services regarding portable fire extinguishers. We highly recommend portable fire extinguisher training for all who have a risk of needing to use the device during the job. This entry was posted on Wednesday, October 15th, 2014 at 4:42 pm. Both comments and pings are currently closed.